In 1900 he met the painter Umberto Boccioni. Together they visited the studio of Giacomo Balla, where they were introduced to the technique of Divisionism, painting with divided rather than mixed color and breaking the painted surface into a field of stippled dots and stripes. 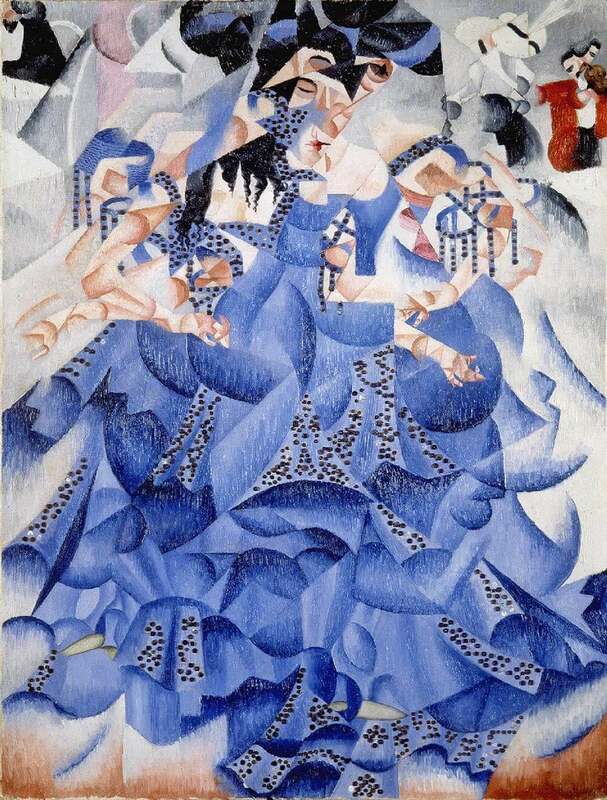 The ideas of Divisionism had a great influence on Severini’s early work and on Futurist painting from 1910 to 1911. Severini settled in Paris in November 1906. The move was momentous for him. He said later, “The cities to which I feel most strongly bound are Cortona and Paris: I was born physically in the first, intellectually and spiritually in the second.” He lived in Montmartre and dedicated himself to painting. There he met most of the rising artists of the period, befriending Amedeo Modigliani and occupying a studio next to those of Raoul Dufy, George Braque and Suzanne Valadon. He knew most of the Parisian avant-garde, including Juan Gris, Pablo Picasso, Aurélien Lugné-Poë and his theatrical circle, the poets Guillaume Apollinaire, Paul Fort, and Max Jacob, and author Jules Romains. The sale of his work did not provide enough to live on and he depended on the generosity of patrons. He was invited by Filippo Tommaso Marinetti and Boccioni to join the Futurist movement and was a co-signatory, with Balla, Boccioni, Carlo Carrà, and Luigi Russolo, of the Manifesto of the Futurist Painters in February 1910 and the Technical Manifesto of Futurist Painting in April the same year. He was an important link between artists in France and Italy and came into contact with Cubism before his Futurist colleagues. Following a visit to Paris in 1911, the Italian Futurists adopted a sort of Cubism, which gave them a means of analysing energy in paintings and expressing dynamism. 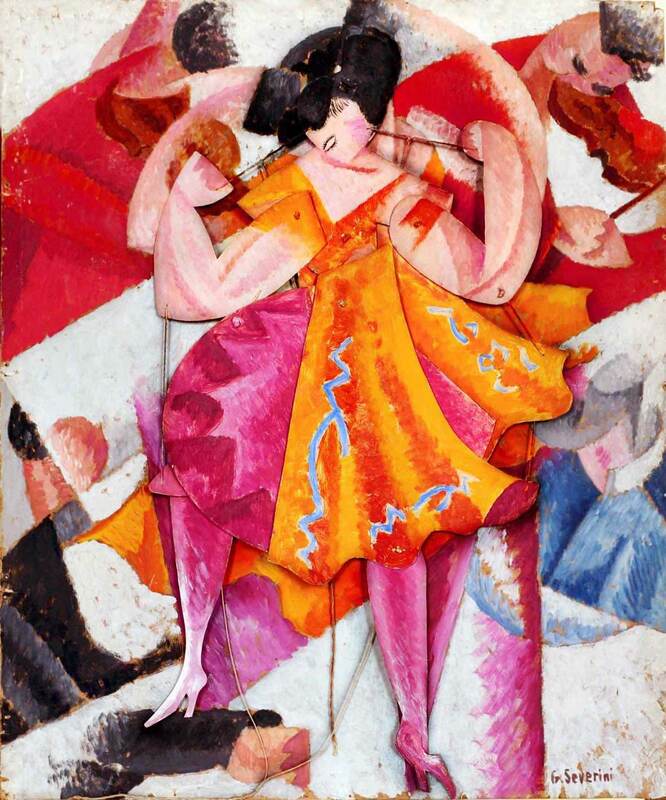 Severini helped to organize the first Futurist exhibition outside Italy at Galerie Bernheim-Jeune, Paris, in February 1912 and participated in subsequent Futurist shows in Europe and the United States. In 1913, he had solo exhibitions at the Marlborough Gallery, London, and Der Sturm, Berlin. In his autobiography, written many years later, he records that the Futurists were pleased with the response to the exhibition at Galerie Bernheim-Jeune, but that influential critics, notably Apollinaire, mocked them for their pretentions, their ignorance of the main currents of modern art and their provincialism. Severini later came to agree with Apollinaire. Given that it was not essential to practise the Catholic religion in order to create masterpieces of sacred art, and that an art without evolution is destined to die, Futurism – distributor of energy – confronts sacred art with the following choice: either renounce any ambitions to inspire the faithful, or submit to complete regeneration through the principles of synthesis, transfiguration, the dynamism of time-space interpenetration, the simultaneity of states of mind and the geometric splendour of the machine aesthetic. As soon as I had said these words, I turned sharply back on my tracks with the mad intoxication of puppies biting their tails, and suddenly there were two cyclists disapproving of me and tottering in front of me like two persuasive but contradictory reasons. Their stupid swaying got in my way. What a bore! Pouah! 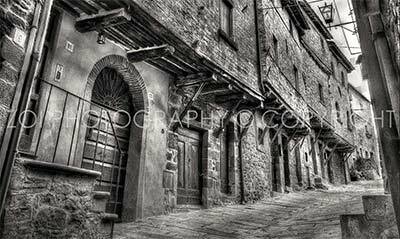 I stopped short, and in disgust hurled myself — vlan! — head over heels in a ditch. But we shall not be there. They will find us at last one winter’s night in the depths of the country in a sad hangar echoing with the notes of the monotonous rain, crouched near our trembling aeroplanes, warming our hands at the wretched fire which our books of today will make when they flame gaily beneath the glittering flight of their pictures. Look at us! We are not out of breath, our hearts are not in the least tired. For they are nourished by fire, hatred and speed! Does this surprise you? it is because you do not even remember being alive! Standing on the world’s summit, we launch once more our challenge to the stars! Your objections? All right! I know them! Of course! We know just what our beautiful false intelligence affirms: “We are only the sum and the prolongation of our ancestors,” it says. Perhaps! All right! What does it matter? But we will not listen! Take care not to repeat those infamous words! Instead, lift up your head! The use of electric light to decorate churches with its blue-white brilliance, superior in celestial purity to the carnal, lustful, reddish-yellow of candlelight; the marvellous sacred paintings of Gerardo Dottori, the first Futurist to infuse sacred art with an original intensity; the Futurist frescoes by Gino Severini in various Swiss churches; the many Futurist cathedrals of dynamic forms constructed from reinforced concrete, crystal and steel that have been realised in Germany and Switzerland: all these things represent the first signs of this necessary modernisation of sacred art. After 1920 he divided his time between Paris and Rome. Severini abandoned Futurism after the First World War and was part of the “return to order”, becoming interested in a more conservative, analytic type of painting and making a study of Giotto. For a time he worked in a Synthetic Cubist mode, but with the publication of Du cubisme au classicisme in 1916 he departed from Cubist purism and adopted a neo-classical style with metaphysical overtones. By 1920 he was applying theories of classical balance based on the Golden Section to figurative subjects from the traditional commedia dell’arte. In 1923 he took part in the Rome Biennale. He exhibited in Milan with artists of the Novecento Italiano group in 1926 and 1929 and in their Geneva exhibition of 1929. From 1928 he began to incorporate elements of Rome’s classical landscape in his work. In 1930 he took part in the Venice Biennale, exhibited in the Rome Quadrennials of 1931 and 1935, and in 1935 won the first prize for painting, with an entire room devoted to his work. He contributed a cycle of works to the Paris Exhibition. He explored fresco and mosaic techniques and executed murals in various media in Switzerland, France, and Italy. In the 1940s Severini’s style became semi-abstract. In the 1950s he returned to his Futurist subjects: dancers, light and movement. He executed commissions for the church of Saint-Pierre in Freiburg and inaugurated the Conségna delle Chiavi (“Delivery of the Keys”) mosaic. His mosaics were shown at the Cahiers d’Art gallery in Paris and he participated in a conference on the history of mosaic at Ravenna. He received commissions to decorate the offices of KLM in Rome and Alitalia in Paris and took part in the exhibition The Futurists, Balla – Severini 1912–1918 at the Rose Fried Gallery in New York. In Rome he reconstructed his Pan Pan Dance mosaic, which had been destroyed in the war. He was awarded the Premio Nazionale di Pittura of the Accademia di San Luca in Rome, exhibited at the 9th Rome Quadrennal and was given a solo exhibition at the Accademia di San Luca. Throughout his career he published important theoretical essays and books on art. There is an autobiography, The Life of a Painter. Severini died in Paris on February 26, 1966, aged 82. He was buried at Cortona. Many of his works are still in Cortona’s MAEC, Diocesan Museum, Cathedral, St. Nicholas’ but there is a number of them in the open air too, such as the Way of the Cross taking to St. Margaret’s Sanctuary and the other huge mosaic on St. Mark’s façade. 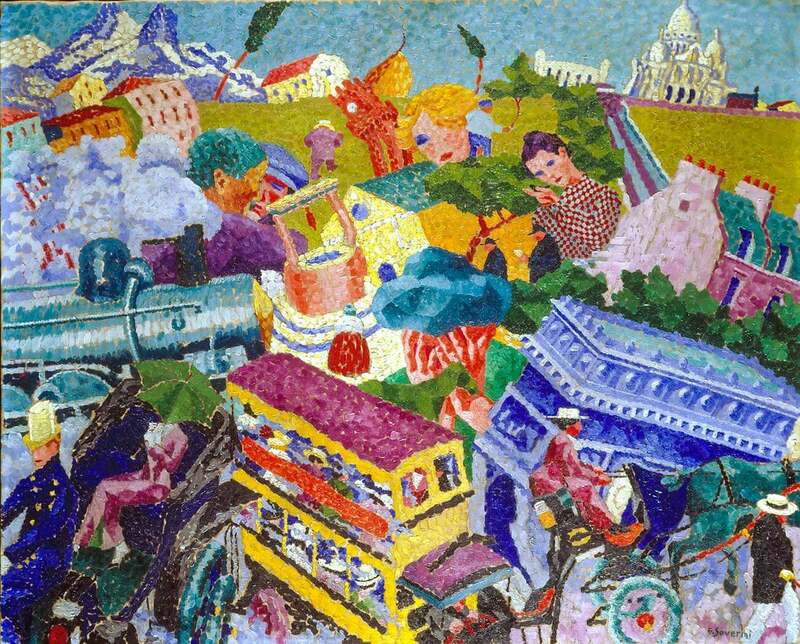 Gino Severini died in Paris in 1966 but, according to his will, he was buried in his home town; after Luca Signorelli and Pietro Berrettini, Gino Severini: another internationally reputed artist from Cortona. Gino Severini is also called “The Father of Modern Mosaic.” Find out why in this thoroughly engaging and well researched paper by Ilona Jesnick originally published in the 6th edition of Andamento, the journal of the British Association for Modern Mosaic (BAMM).